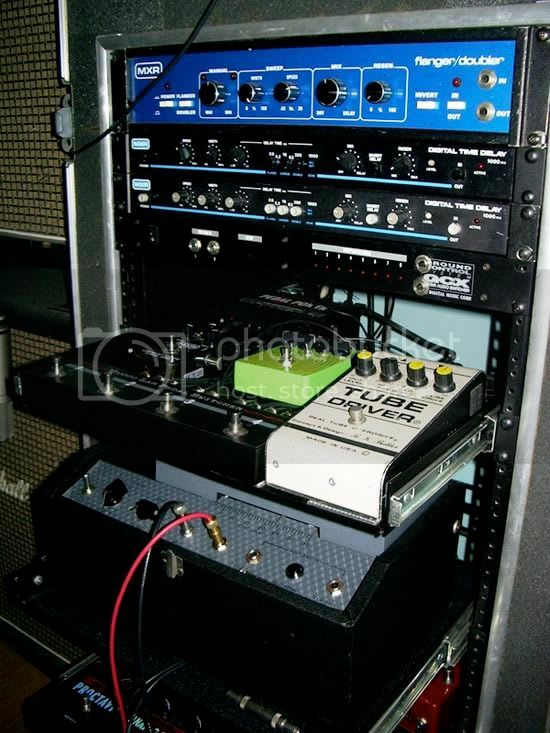 Here's a pic of the setup used to go over some of the techniques used by Eric Johnson to get the "Cliffs of Dover" tone. This was used to create a video companion piece to accompany the article I wrote for the mag. Just to note, the green box on the shelf is the prototype for Giggity!